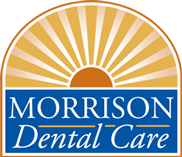 At Morrison Dental Care, we are committed to providing world-class service to all our clients. Our services include the following: adult orthodontics, cosmetic dentistry, esthetic dentistry and restorative dentistry. Our skilled dentists can easily address common problems such as cracked tooth, crowded teeth, gum disease, missing tooth and stained teeth. Morrison Dental Care also offers that latest tooth implant technology, mini-dental implants, cosmetic orthodontics, smile makeover, Six Month Smiles and Invisalign. With 50 years of combined experience between Dr. Lewis and Dr. David, the residents of Clifton Park, Halfmoon, Saratoga Springs, Troy, Waterford and Mechanicville are assured of comprehensive dental care from dentists you can trust. Our staff is always ready to help with you scheduling, insurance or anything else you may need during your time with us. We will take extra care to listen to your concerns, answer all your questions and thoroughly explain your condition and treatment options. To schedule an appointment, please call us at 518-371-3400 or you can use our online Request an Appointment form.